Yarn used: Knit Picks Merino Style - Kool-Aid dyed over the color Fog - it still smells like cherries. Details: This one is a keeper - I recommend this yarn for this hat over the Heirloom 8-ply alpaca becasue it isn't nearly as itchy. 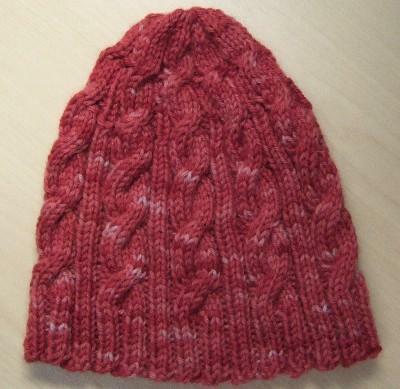 I might try the pattern in Knit Picks Andean Treasure next.